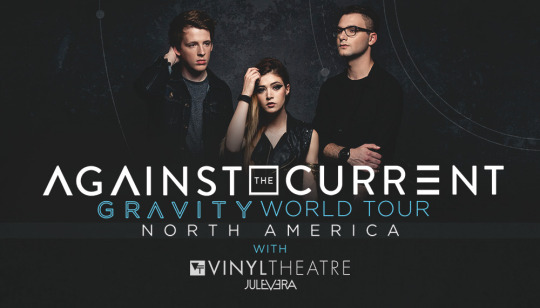 New York pop rockers, Against The Current, are about to kick off the European leg of their Gravity World Tour. However, this time next month, the band will be back in the US, hitting the road with Vinyl Theatre and Jule Vera! Check out the dates of their North American tour below!